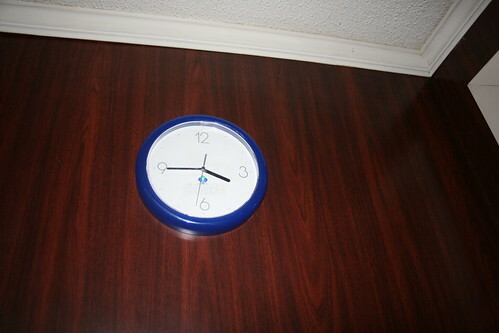 The clock behind the front desk was still ticking, and while the time was inaccurate, it was still trying. This was likely powered by a single AA battery, once again indicating that since it still worked, it hadn't been abandoned very long. In fact on a subsequent visit, we learned that the owners very frequently still used the front desk area of the hotel for their operations, so we were pretty lucky not to be caught.